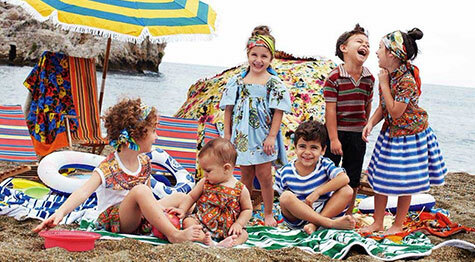 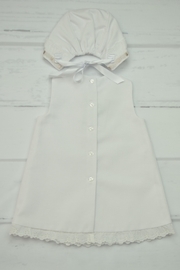 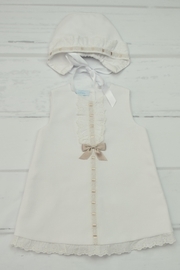 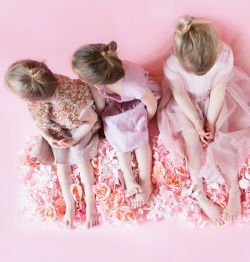 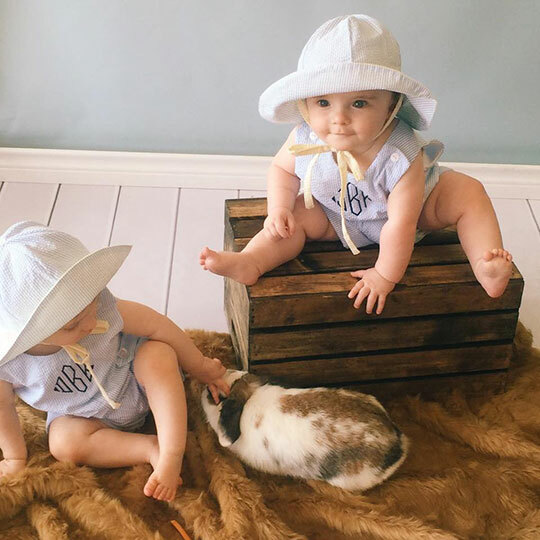 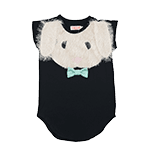 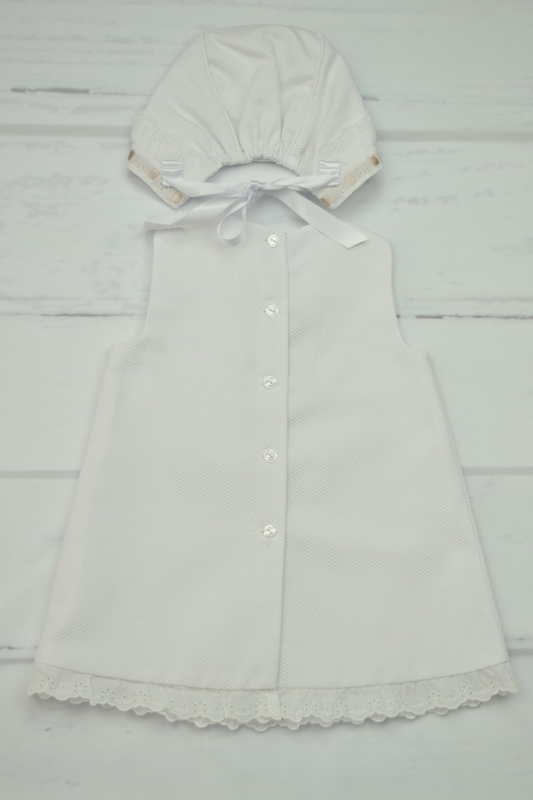 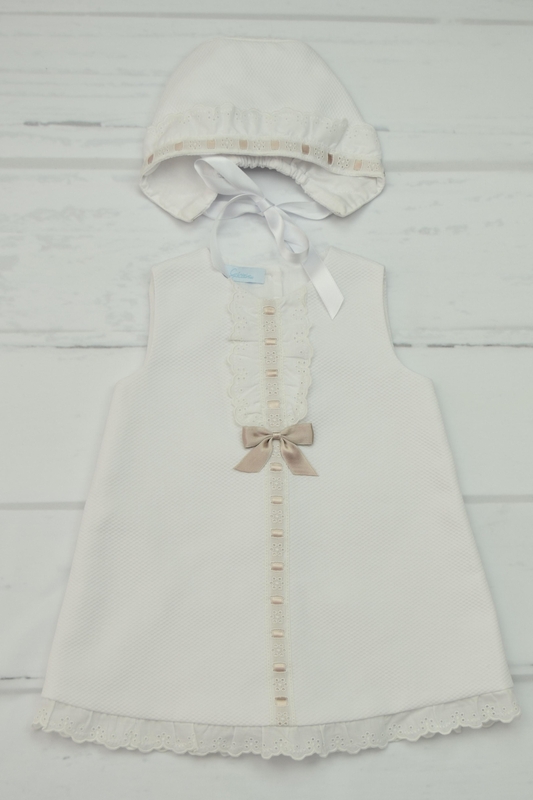 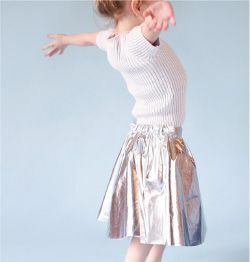 A white and elegant dress for baby girls ideal to wear at a special occasion, such as a baptism. 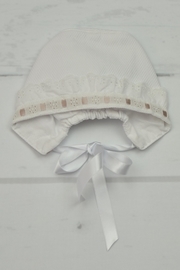 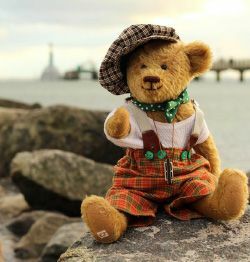 It has beautiful details on lace and brown ribbon; it has buttons on the back for closure. 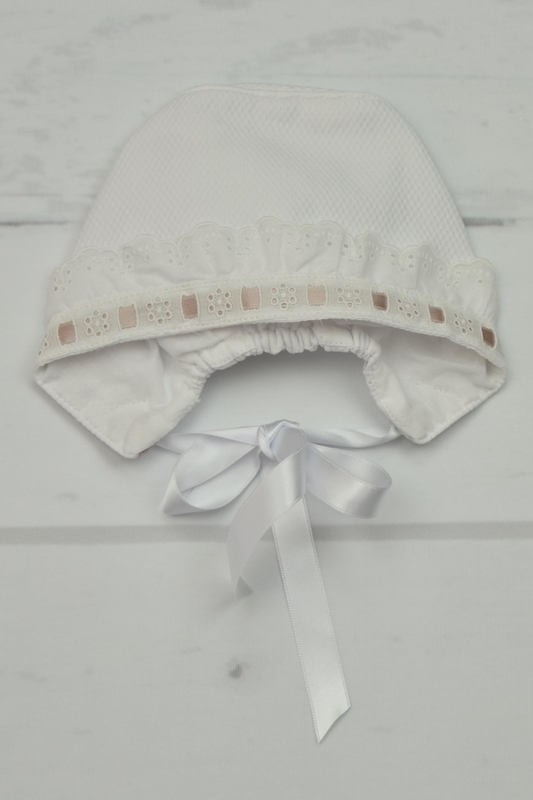 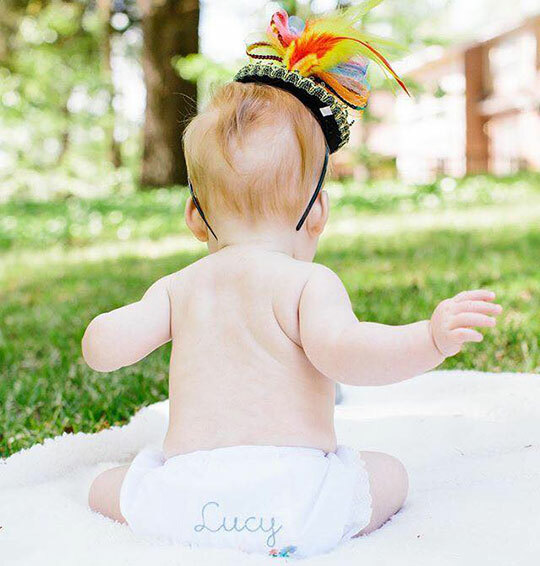 Also, it comes with a matching bonnet.